Did Pope Francis get the Church's teaching on Confession wrong? Sunday Sermons from South St. Paul tackles the question. Plus, did the Risen Christ appear to Mary first? Why did He not admonish the Apostles in the Upper Room for abandoning Him on Calvary? What can we learn about Doubting Thomas, mercy and the establishment of Sacred Tradition? Francis says his new, non-judgmental Church is the ‘church of accompaniment’. Question is: accompaniment to where? Heaven? Hell? La-La Land? Not sure what Pope Francis is talking about anymore? Join the club. Plus, Michael Matt announces he is standing with a much-maligned defender of the Church. Which one? Watch this video to find out. Michael Matt sits down once again with Father Michael Rodriguez, this time in studio. The Mike 'n' Chris Show delves into the latest scandal out of Rome -- Lutherans receiving Holy Communion in St. Peter's, coupled with a Vatican announcement that Pope Francis himself will travel to Sweden in October to commemorate the Protestant Revolt. The Holy Father has already apologized for 16th Century Catholic "intransigence" where Luther was concerned and now he intends to lead a Catholic-Lutheran joint prayer service of thanksgiving for the "many graces" that came to us through the anathematized Protestant Revolt and the excommunicated Martin Luther. Michael Matt defends The Remnant's critiques of Pope Francis from accusations leveled by fellow Catholic media personalities. Michael discusses the Pope's resignation and its connection to the Fatima message. 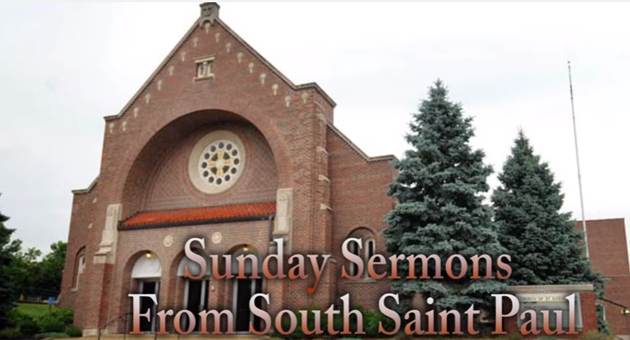 Sunday Sermons from South St. Paul: Traditional Catholics --The New Judaizers? Traditional Catholics: The New Judaizers? Father uses St. Paul’s Epistle to the Galatians and the story of Jesus and the ten lepers as foundation for his discussion of the Old Law and a pharisaical approach to the Gentiles. Is St. Paul’s anger at the Judaizers the same as the anger many critics today express against Traditional Catholics-- those they accuse of being the new Judaizers for insisting on restoring the Old Latin Mass, the old moral theology and the rest of the traditions of the Church? What do you think? Mike & Chris discuss the Pope's routine criticisms of faithful Catholics while atheists and Catholic bashers get the papal "Get Out Of Jail, Free" card. Plus, what explains the papal silence on the slaughter of Christians in the Mideast? Michael Matt sits down to interview Father Michael Rodriguez in Mexico in February of 2013.